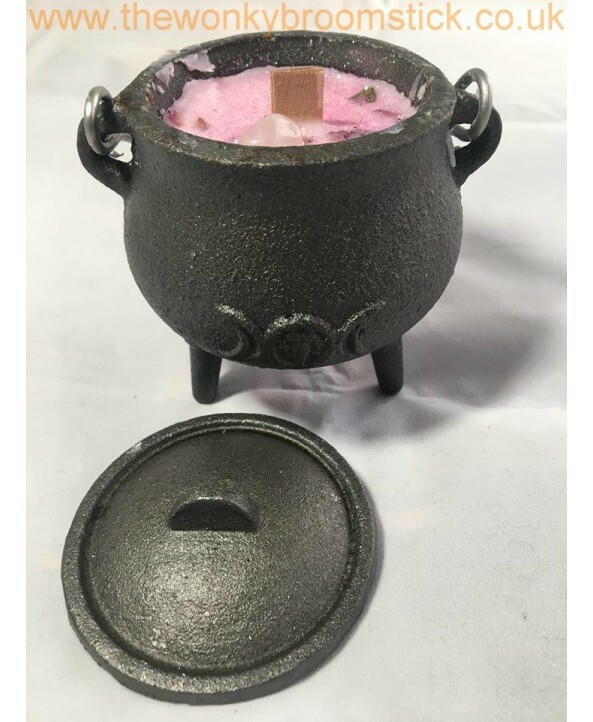 These gorgeous handmade Soy Spell candles are all made in wonky HQ. 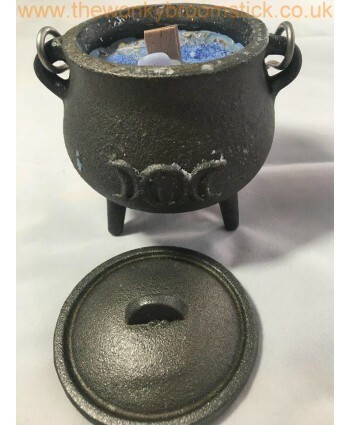 These magickal spell candles are handcrafted using a specific blend especially for Love. 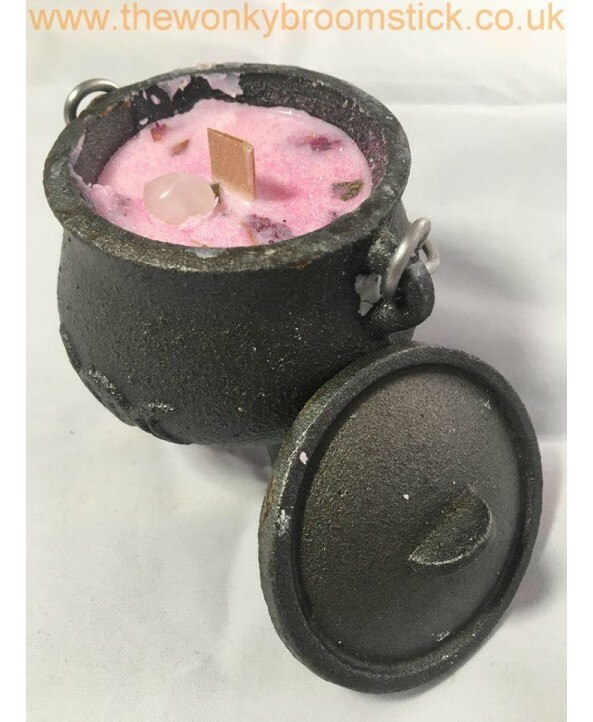 Pink in colour with Rose essential oil, dried Rose petals and topped off with a touch of glitter!!! 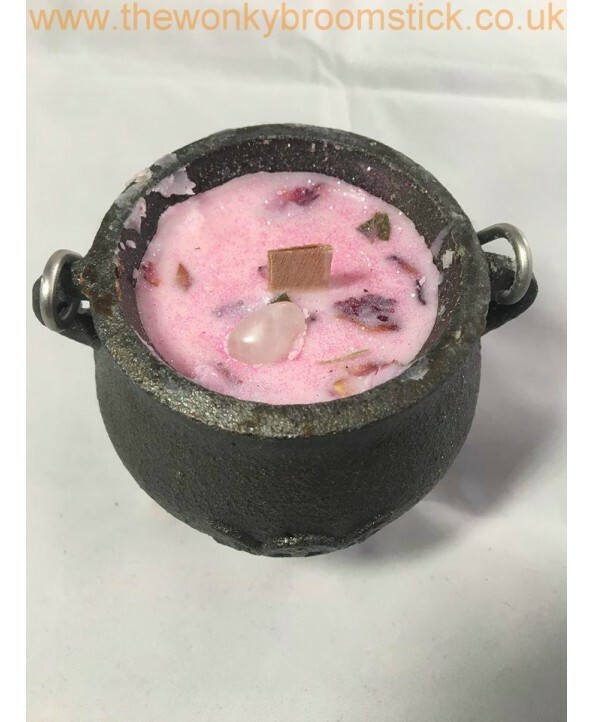 Candle also comes complete with Rose Quartz crystals. 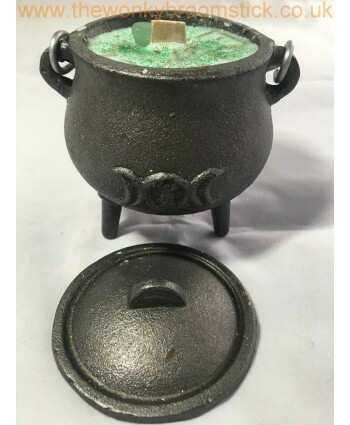 Complete with wood wick so they crackle as they burn. 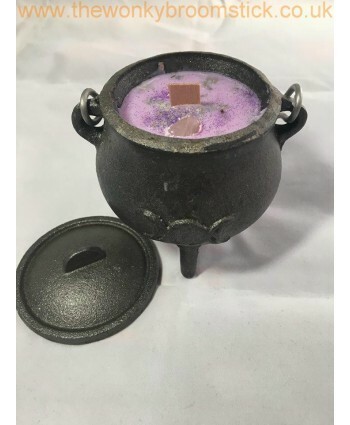 Remember to always snuff out your candle NEVER blow out as you blow your wish away!!! 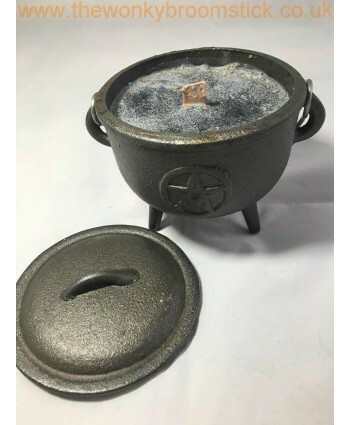 Once your candle has burnt all the way through you are then left with a fabulous cast iron cauldron for your magickal uses.